Here we go with another designer. Today it is SF Design. Swaffette Firefly, designer and owner of SF Designs, is from the UK. She has made 2 designs for the Feed-a-Smile Event. 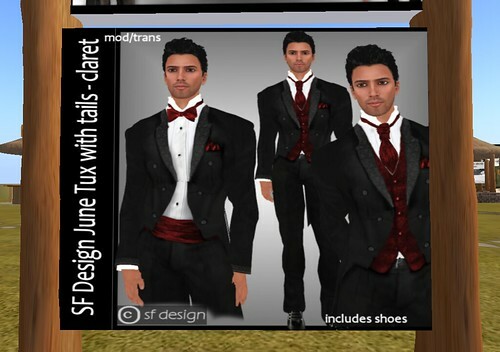 One of them is a beautiful red Dress with purse and shoes for the Ladies and the other is a handsome well matched tuxedo with shoes for the men. The kind and humorous Swaffette has her donation vendors already up and running on the venue and she also has two vendors in her shop. The outfits have already generated a very good amount of meals for our children in Kenya. 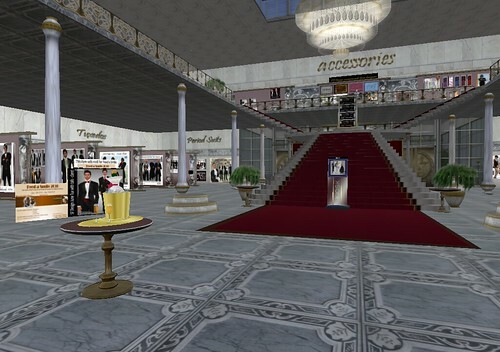 swaffette's sim is very nice and tastefully created. Her shops are arranged like a shopping promenade with her big main shop at the end of the road. 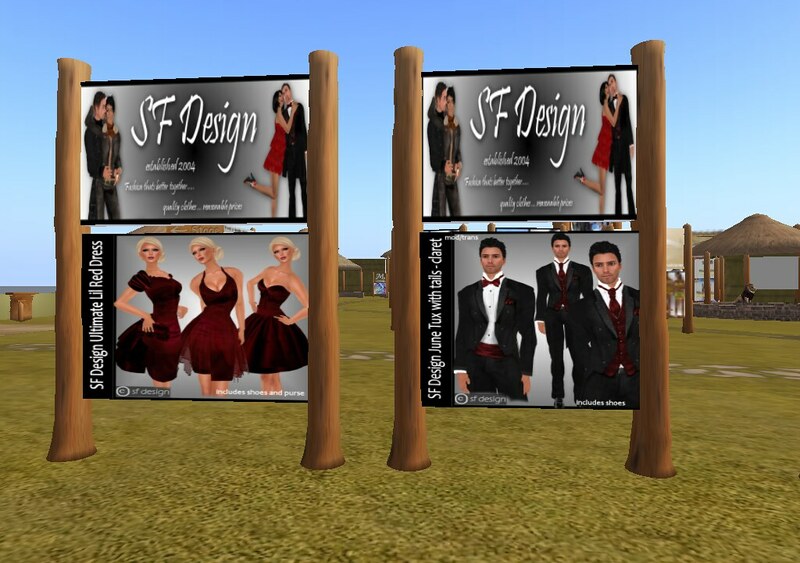 SF Designs is one of the older well know shops which was established back in 2005. Thanks for your kind donation swaffette and best wishes with your high quality work. The kids from Kenya will thank you most sincerely.